Q. I love CWT and want to use your rentals for my event, now what? Your venue is a key factor in deciding which of our rentals will work best for you. Once you have decided on a event date and venue, request a quote from our contact page. We always love hosting guests at our showroom in downtown Tunkhannock, Pennsylvania. Consults are by appointment only so we can dedicate our time solely to planning you’re event while you’re here. We pride ourselves on quick turnaround time for providing all the necessary information to make your dreams a reality. Q. How early in advance should I reserve rentals? Having a locked-in event date will help secure your favorite pieces and determine which package will accommodate your event. We recommend reserving rentals as early as possible. Quantities can be limited. You may browse our collection online or set up a time to view our inventory in-person. Shoot us an e-mail, and we’ll gladly arrange a time for you to stop in. Once your order is place, we require a nonrefundable deposit to secure the order. Q. Do you work with other vendors? Of course! Please put us in touch with your florist, caterers, or wedding planner. We will gladly work with them to ensure everything comes together perfectly for your event! Are you still unsure of who to book to help create a magical day? We can gladly provide you with connections to our favorite recommended vendors. *We do not set up other vendors products. All of our orders contain a 10% non-refundable inclusive damage protection and cleaning fee. This allows you to no enjoy your event without out the stress of guests having too good of a time and possible mishaps. Our damage waiver will usually cover most typical damage that might incur however, exceptions apply to irreversible damage. Any damage beyond the 10% protection fee and/or missing items will be client’s responsibility. Q. How should I return the items? Chippy Chicks personally wash and sanitize each item before it arrives to your event. We want all clients to receive spotless, high-end rentals. To ensure quality of our rentals we require all dishes, glasses, utensils, etc. to be returned the way it was received: rinsed and scraped of food and debris and packed in the original container. We ask that you check with your caterer to make sure they agree with our dish cleaning policy. If you do choose our styling + setup services, we will pack-up your event that day after. We do not offer clean-up the night of an event. Q. What if a piece is accidentally damaged? Our damage waiver will usually cover most typical damage that might incur however, exceptions apply to irreversible damage. Any damage beyond the 10% protection fee and/or missing items will be client’s responsibility. We mostly to stick to NEPA and surrounding areas. Delivery fees to venues outside of our 1.5-hour radius of Tunkhannock, Pennsylvania are long-distance and include room and board for Chippy Chicks. The cost will vary based on how much you’ve rented and where your event is. There is a minimum requirement for deliveries. When you request a consult, please provide your venue name and event date so we can estimate delivery fee. *Delivery fee could vary if rentals are changed at final order. Q. Can I pick up the items myself? Yes, you can pick up your rental items. However, some pieces are delicate and may need prior approval. Pick up for your rentals is no sooner than three days before your event. We require rentals to be returned no later than two days after your event. Please inquire for the minimum rental order for pickup. Q. Do you offer styling and set up of your rentals? Our styling and staging services are an additional fee separate from packaging/delivery cost and quoted per event. It includes our services from start to finish. Which means we help plan and design the small to large details along with you the whole way. We will spend hours looking at pins and contributing to your ideas and visions. It includes a venue visit (depending on location), and however many visits to our shop you might need to play set up. You also will get very enthusiastic Chippy Chicks to make sure that all the details are set in place the day of the event! AND it includes us coming back the day after your event, to tear down, clean up, and pack up. Q. Will the Chippy Chicks style and set up decor I bought myself? Absolutely! 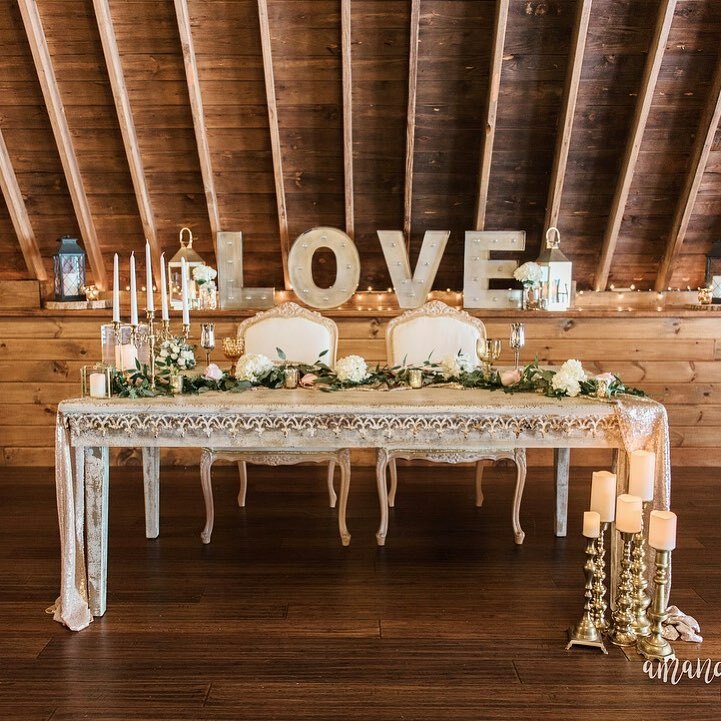 We will gladly set up and style any special piece of your own, and ensure that our rentals and your decorations seamlessly flow together to create a cohesive look at your event. We do not offer to style or set up other vendors products. Q. Can I reserve rentals without the styling/setup fee? Yes! If you have a super creative crew of bridesmaids, wedding planner, or friends who are excited to set up and style your wedding? We can pass off the setup/styling baton to them, and simply charge the rental cost per item. If you choose to not include our styling services, this means we will not be tearing down or packing up. You must have your rental items cleaned up, packed up, and ready for pick up the following day. Q. Do we love weddings and special occasions with all our hearts? Yes, we do! And we would love to help make your special event magical and memorable!